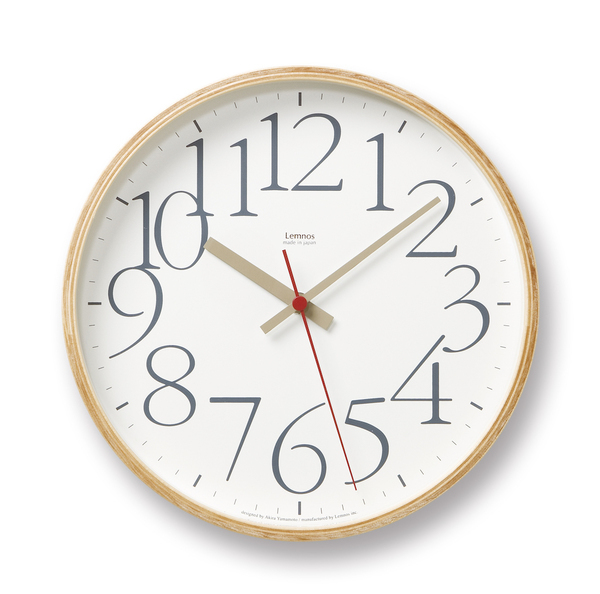 Garamond font used on the classy and modern clock that would suit most interiors. Unique and stylish, white face with black numerals. Spacious and elegant clock, with a minimalist feel. White face, Plywood surround and Glass front. Sweeping second hand in red.